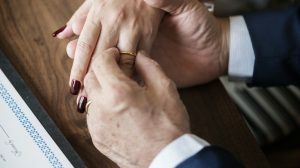 “According to the Office of National Statistics, we’re seeing a year-on-year increase of divorce in couples over the age of 60. No longer is there a stigma attached to getting divorced, especially at an older age. The over 60s of today are likely to be more worldly and open-minded in their views. Many of the women I see have had careers and worked for much of their married life. They’ve contributed financially to their marriage and have pensions to fall back on. No longer is there the worry that if they divorce their husbands, they won’t have any financial independence. “In the first instance – whatever the situation – I would always advise my clients to really assess whether or not to stay in the marriage. Sometimes taking the plunge into the unknown is scarier than staying in a loveless marriage. Many people now in their 60s married at a young age and really know no different than to live together, despite their misery. “I see many common trigger points for divorce in older people and the main one is ‘empty nest syndrome’. Their children have left home, got married and maybe have children of their own. They feel that their duty to stay together has come to an end. The one last thing they had in common – the children – no longer needs them. “A lot of my clients cite that they feel stifled or suffocated and have outgrown the marriage. However, many people do get sucked into the ‘romanticism’ of thinking that if they walk out of their marriage, a world of exotic travel and new love is just around the corner. Yes, this may be true for a small minority, but in reality, divorce at any age can be very stressful and lonely. “Always consider how often you see your children or grandchildren. Do you have a good support system and plenty of friends nearby to keep you occupied? Divorce can be liberating, but when it’s later on in life, there must be other options too, to keep life fulfilled and meaningful. “I know a lot of women, who after caring for their family for many years, begin re-training in careers or study for degrees. The world has opened up to them, especially in the digital age where finding new interests is as easy as turning on a computer. These ‘silver surfers’ are also becoming pros at online dating, giving their younger counterparts a run for their money! During these challenging financial times, making the decision to leave a marriage or long term relationship can be overwhelming. It’s important to ensure that your solicitor is a suitable candidate for you to discuss important, personal matters. When looking for your solicitor, speak to friends who have been divorced and ask their opinions on who they’d recommend. Perhaps see if the solicitor will offer a free initial consultation to check there is a rapport between the two of you. For the coming months, your solicitor will be on speed dial and will know the most personal details of your family life – a suitable fit is a must! Ensure you check that the solicitor offers a transparent policy on costs and from the outset is able to explain the fees. Clients should be in control and know when they will be charged, as well as understanding the various funding options available. Costs should be calculated on the basis of time spent progressing the client’s case - with no hidden extras. Many solicitors, including Ultimate Law, also offer fixed fee packages, which make the initial divorce process less intimidating and more affordable. Fixed fee divorces normally start from £550 plus VAT and court fees. As family law solicitors, our goal is to help you move forward and we encourage our clients to make informed, future-focussed decisions, personally and for their families. Going through the divorce process is emotionally draining and with the added financial stress, can make life very difficult. Your divorce lawyer should guide you through every step of the way and offer clear-cut, practical options to reduce your legal costs. Transparency is key and clients need to be as informed as possible by doing their own independent research about the divorce process, so they are in a more empowered position when discussing legal issues. Most people going through a divorce are juggling a lot to begin with. They are often working and have children who need emotional support. A family law specialist must be aware of everything happening within the family unit to help prevent further stress and smooth out the bumps along the way. Each divorce or separation is unique to that couple. It’s mostly never straightforward, so ask for a tailor-made solution to suit your circumstances. These could include a case review service so if you are unhappy with your current solicitor, another solicitor can review your case for a fixed fee. This normally costs around £250 plus VAT. Other options include a ‘pay as you go’ service for those who want little involvement with their solicitor. Clients can also speak to solicitors about them acting in a shadowing capacity to help draft court applications and to prepare for court hearings. For more information about Lindsay Jones and Ultimate Law’s services, log on to www.ullsolicitors.co.uk or call 0161 710 2030 for a free initial consultation with Lindsay.